Award winning team captures another award! University City resident Isabelle Ho and her dad and coach, Richard Ho, along with her team, the RoBowties, recently captured 3rd place at the 2016 World Championship hosted by FIRST Championship in St. Louis, Missouri, April 27 to 30. At the World Championship, RoBowties ranked 2nd of 64 teams after qualifying matches in the Edison Division, were Captain of the #2 seed alliance (picking teams from Florida and New Zealand as their partners), and won 3rd place Alliance overall in the Finals. FIRST Tech Challenge (FTC) is a robotics competition geared toward middle and high school teams, and it is designed by FIRST (For Inspiration and Recognition in Science and Technology, a global nonprofit charity founded in 1989) to inspire young people to be science and technology leaders through the model of sports competitions. 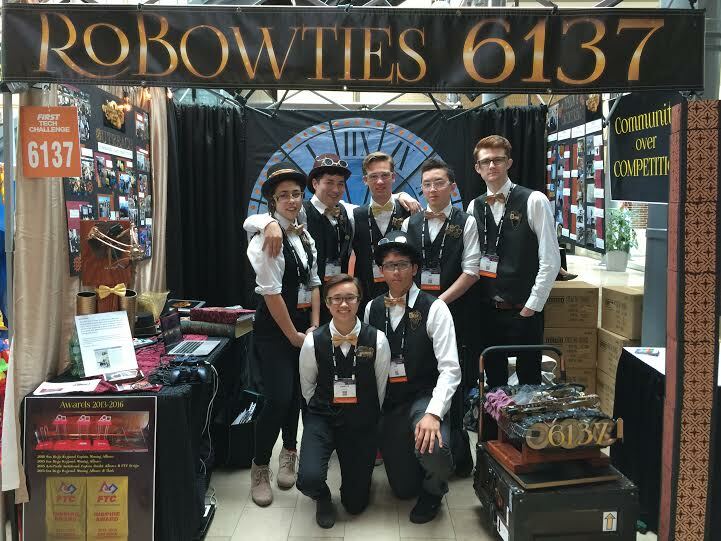 While most FTC teams are sponsored and coordinated through local schools, RoBowties is a “garage” team, with students from a variety of San Diego schools. 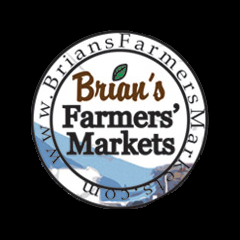 Team members attend The Bishops School (3 team members), La Jolla High School (1), High Tech High Media Arts (1), and Maranatha Christian Schools (2). Some of the RoBowties team members have been together since 5th grade. University City’s own Isabelle Ho is the captain, Macky Broido is the driver, and Max Sun and Owen Gallahue rotate as field coaches. Alex and Anna Azeka and Erik Holm primarily work on robot design and construction and other creative aspects for presenting the team using their “steampunk” theme based on Jules Verne and the steam engine era. The volunteer coaches for the RoBowties are Richard Ho and Veronique James, and team mentors are Mike and Sheila Azeka. The RoBowties were also recognized for their creative booth design based on the 2011 movie Hugo, tying for 2nd in the Crowd Favorite Pit Design contest. 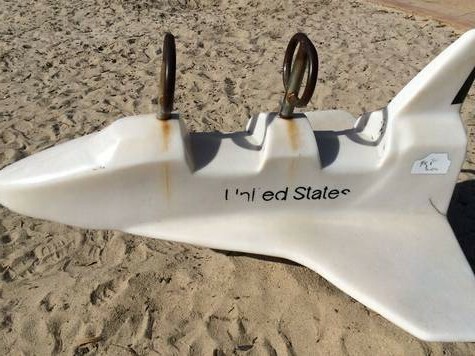 Financial support for team travel to Worlds was donated by EDF Renewable Energy, American Society of Mechanical Engineers (ASME) San Diego chapter, and HiTec Multiplex. Other sponsors include Robotics Inspiring Science and Engineering (RISE), Mitchell International, ServoCity, and Qualcomm. The RoBowties team’s robot is programmed to go across the field to score some objects and then try to climb the mountain in the 30 second autonomous phase. Then the robot drivers will try to collect and score as many objects as they can before the final push to climb the mountain and have the robot hang from the pull-up bar. Their robot is very different from all the other robots we’ve seen – in fact, they won a Design Award at the Super-Regional Championship in Oakland in March. 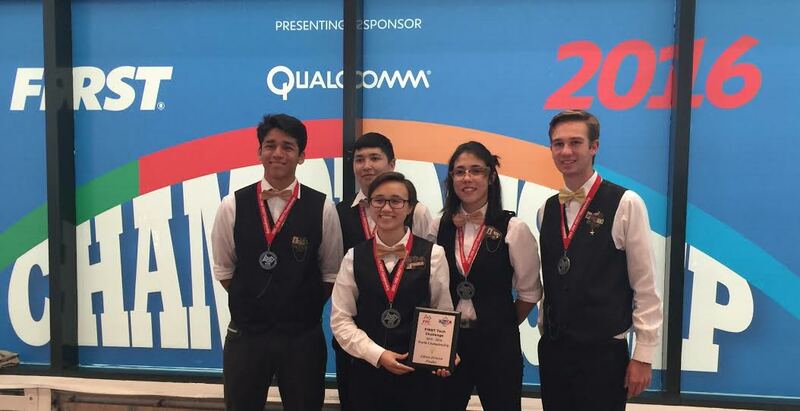 Before competing at the World Championship, the RoBowties were this year’s winner of the Inspire Award in San Diego, the most prestigious award given. They were also the 1st place team captain in the field play competition, an unusual double-award situation. They were also nominated for three additional awards: the Rockwell Collins Innovate Award, the PTC Design Award, and the Think Award. This was an remarkable repeat victory as the RoBowties were the Inspire Award winner at last year’s San Diego Regional too. Out of the 60+ teams starting the season in the San Diego area, RoBowties were one of 4 to advance to the FTC West Super-Regional in Oakland. At the West Super-Regional, the RoBowties ranked 8th of 36 teams in the Silicon Division, were chosen by the Captain of the #2 seed alliance for Finals, and won the PTC Design Award which qualified them to advance to the World Championship in St. Louis. At the World Championship, US teams typically dominate the top ranks of robots simply because there are so many US teams (4000+) and often only a handful in other countries. However, this year there were teams from Russia, Romania, and New Zealand in the Finals which was great to see. Isabelle’s team actually chose the New Zealand team as a partner for their alliance in the Finals. We had run into them over the summer when we competed in Sydney last season so we knew they build high performing robots. There are thousands of teams around the world competing regionally using autonomous and tele-operated self-designed robots to solve “challenges” set by the FIRST organization. These challenges change each year, and this year FTC also upgraded to Android cellphone technology with the support of Qualcomm so the 4000+ FTC teams have now become Java programmers. In addition to field play competitions (a 2.5 minute period where they attempt to surmount the game challenge), there is also judging based on teams’ robot design, engineering notebook, connecting to the community, and Gracious Professionalism®. The Inspire Award is the highest recognition given for overall excellence. A similar judging and competition framework was used for the West Super-Regional (where 72 teams from the Western US compete to advance to the World Championship) and the 128 teams at the World Championship. Globally, the top 3% of teams qualified to advance to the 2016 World Championship. Not Their First Rodeo: In 2015, the RoBowties also won the Inspire Award for San Diego, as well, and advanced to the Super-Regional. They performed well there and advanced to the World Championships where they finished in the top third in field play competition. They were also selected to represent San Diego in the 2015 Asia Pacific Invitational in Sydney, Australia, which had many teams from Asia, Australia, and the Americas, and the RoBowties were the team captain for the 2nd place alliance and won the PTC Design Award there.